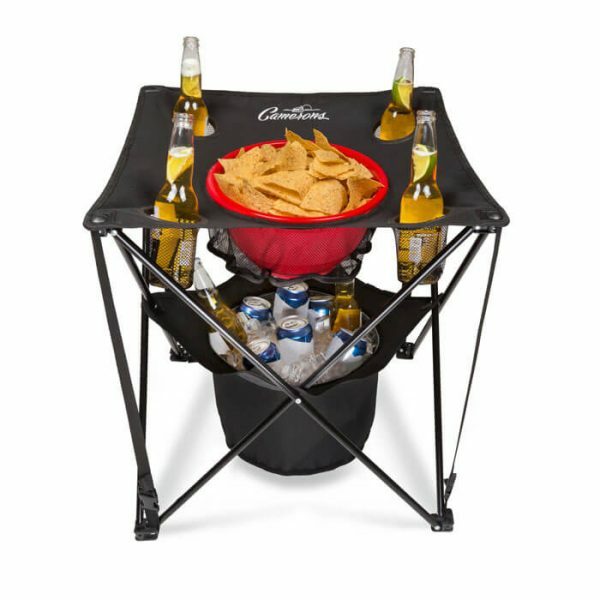 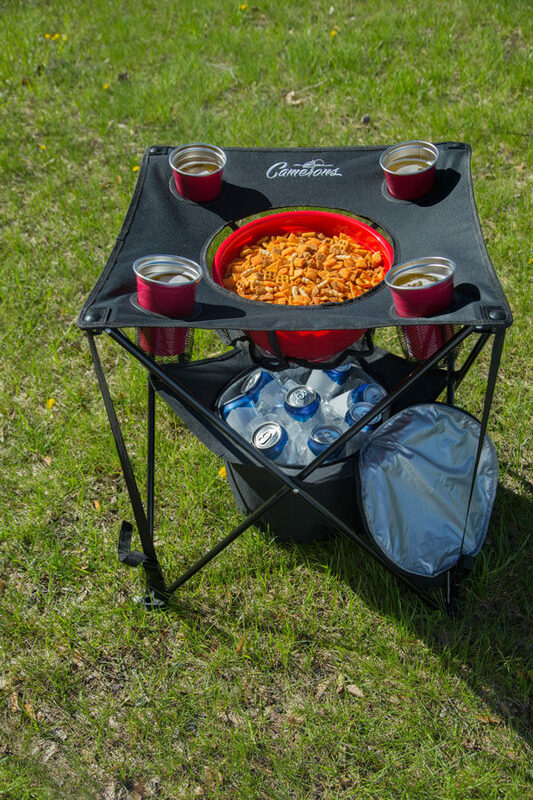 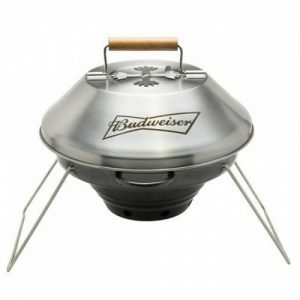 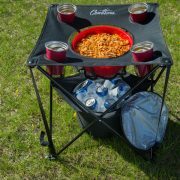 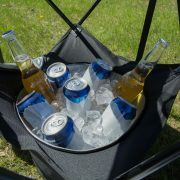 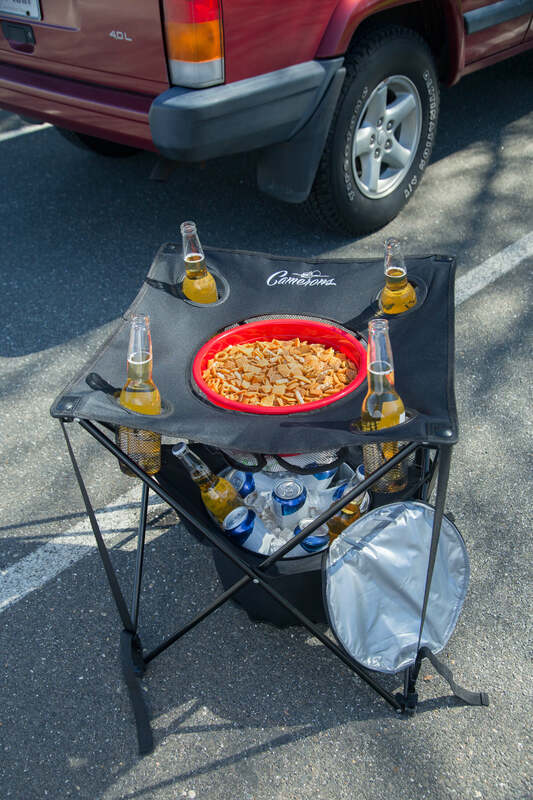 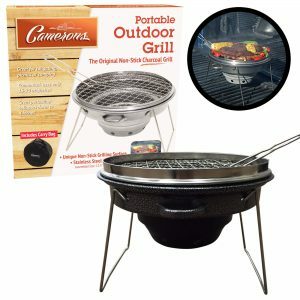 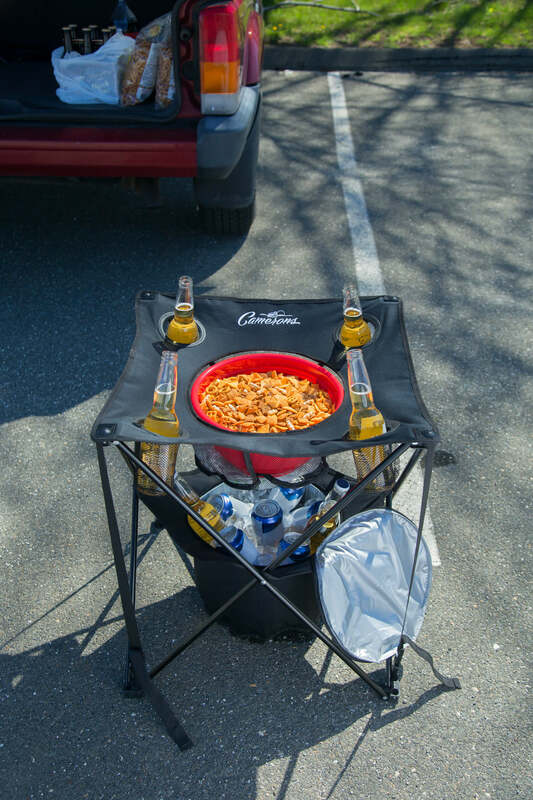 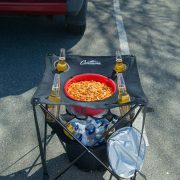 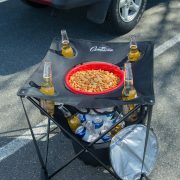 The Tailgating Table by Camerons comes with a zippered, insulated cooler, a food basket and 4 cup holders to allow you to bring all your beverages and food to your next tailgating event, cookout, or camping weekend. 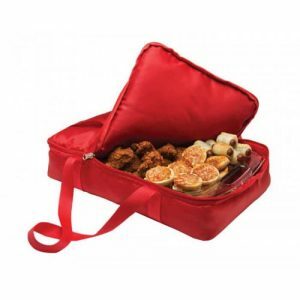 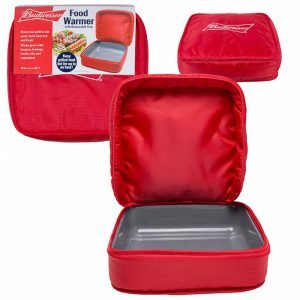 Light, collapsible, easy to store, with an included travel bag. 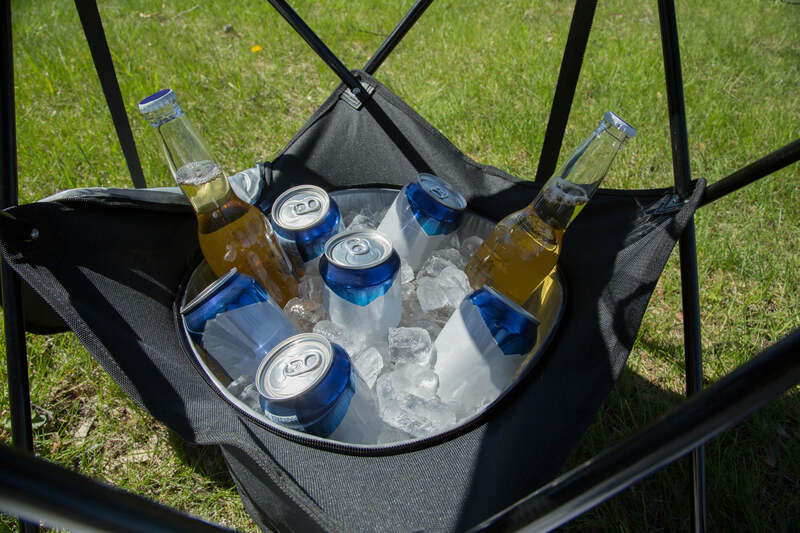 4 tension straps on each table corner ensure a steady, stable surface, so you won’t have to worry about it tipping over.